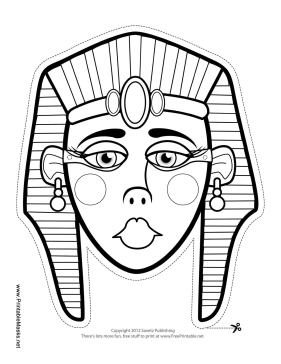 An Egyptian queen mask coloring page like this one will be a great addition to any lesson plan on ancient Egypt. As students color in the mask, you can discuss many great Egyptian queens as well as the regalia of Egyptian royalty. This mask is free to download and print.